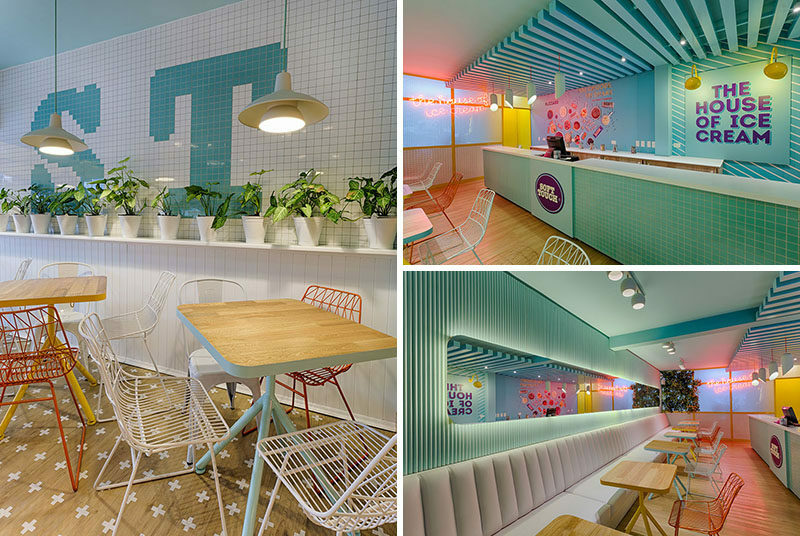 Design studio Plasma Nodo have completed ‘Soft Touch’, a modern ice cream shop in Medellin, Colombia, that features bright and fun colors. 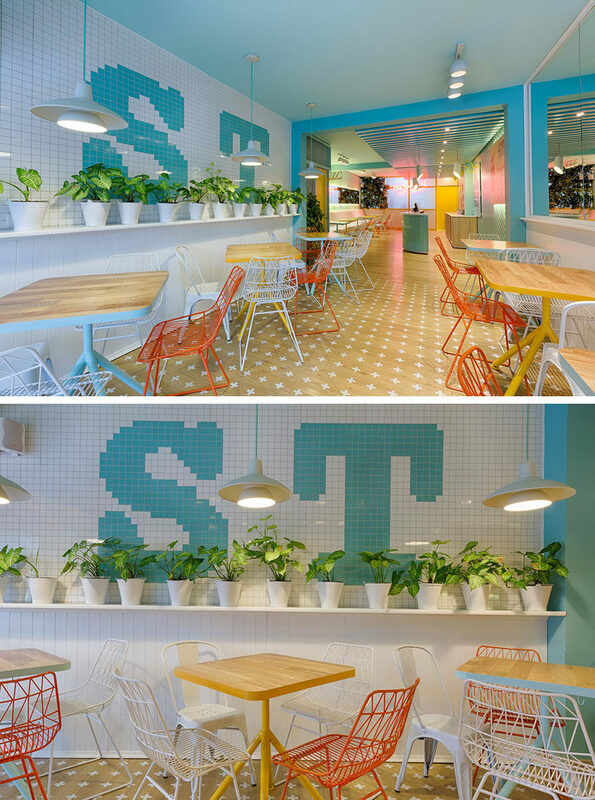 At the front of the store, there’s a tiled wall with plants on one side, and on the opposite wall, there’s mirrors that help to make the space feel larger. Further inside the interior, there’s a service area on the right-hand-side that has a turquoise tiled facade and a white countertop. Behind the bar, there’s graphics depicting the flavors, and on the wall at the end of the space, is a bright pink neon sign. A banquette of white seating with colorful tables and chairs lines the opposite wall. Above the seating, there’s a backlit long horizontal mirror that reflects the graphics and neon signage.